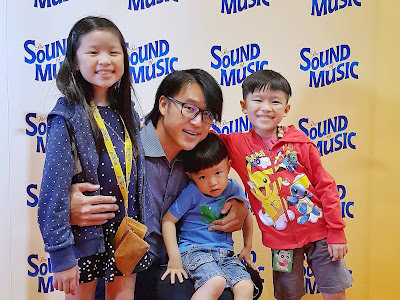 Another first for the kiddos and myself, and that was catching The Sound of Music musical for the very first time, and right here in Singapore! I knew I had never watched it before, not even the film adaptation but I felt as if I had seen it somewhere, somehow. It was so new and yet familiar, and then I realized I knew most of the songs, for they were truly classics I heard from young. I even remembered putting up a dance performance to the tunes of "Sixteen Going on Seventeen" during my lower secondary days and Leroy can't help but sing along to "My Favourite Things" and "Do-Re-Mi" but I had to stop him for fear of him disturbing the other patrons! He ended up getting cross with me for stopping him from singing what he learnt from choir! The set was truly amazing too, and pretty much wowed everybody in the hall. 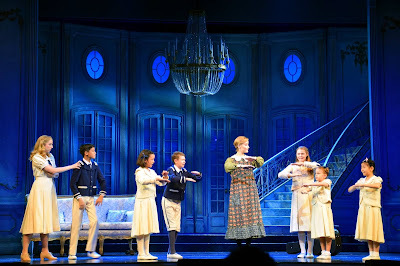 We were transported between the beautiful mountains, the abbey, the luxurious interior of the Von Trapp's villa and relaxing patio complete with sunset seamlessly throughout the musical. 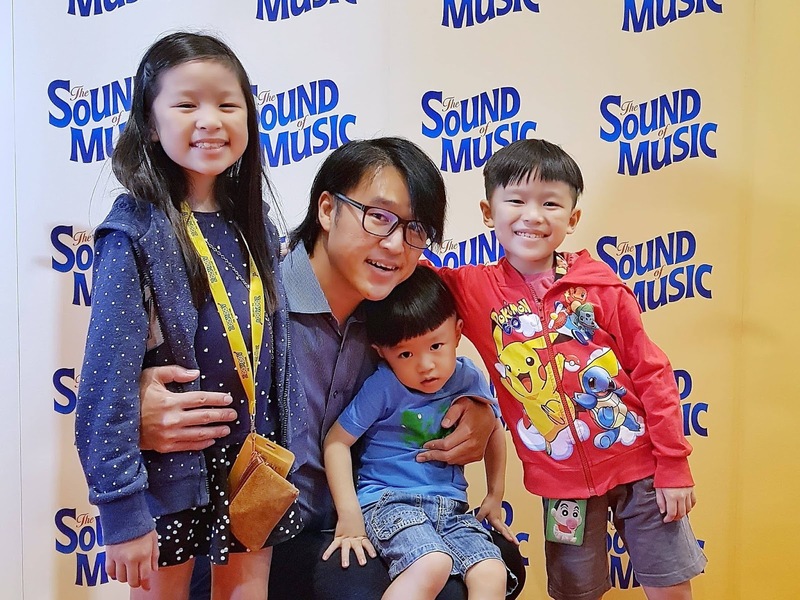 Then of course we had the lively performances by the 7 Von Trapp kids and beautiful singing of all the familiar songs that so captivated Louie, he had his eyes glued to the stage. He got a little cranky after the intermission though, because it was pass his bedtime. 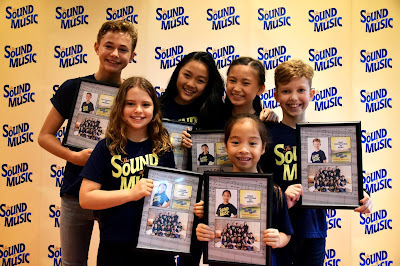 Thank you for having the kids and myself at the awesome musical BASE Entertainment! 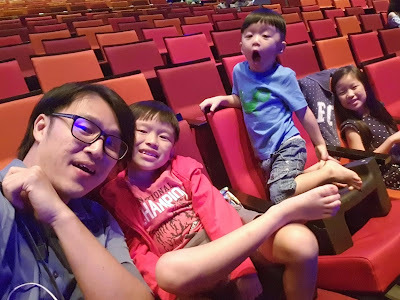 It was truly an enjoyable evening for the family, with lots of funny moments that will get us laughing out loud and even touching moments that got me a little emotional, especially the part when the Captain finally realized that the kids needed a lot more, other than marching. 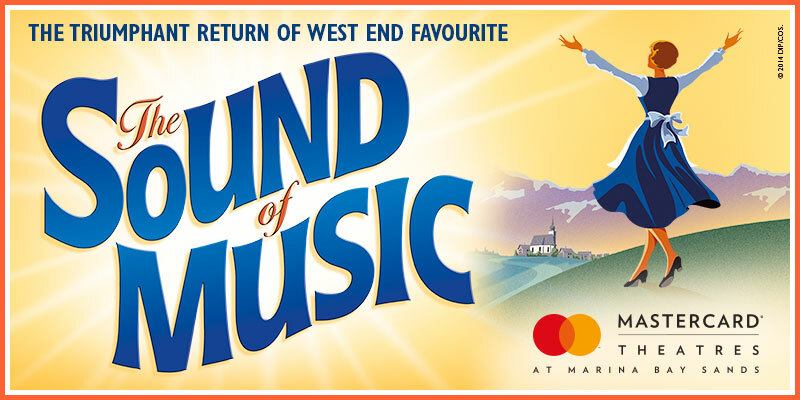 If you out there had never watched the musical before, like us, do yourself a favour and go get yourself tickets before the show ends on 03 Dec 2017. Special tickets are going for a steal at $35 for students, NSF and the elderly!